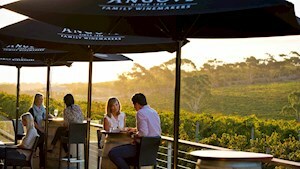 The McLaren Vale Wine Region, famous for its Shiraz, contemporary cellar doors stand alongside boutique, stone wineries. John Reynell planted the region's first grapes in 1838, employing a young labourer named Thomas Hardy and laying the foundations of two dynasties that would dominate the region for more than a century. You can check out John Reynell's original hand-excavated cellar in use in the gardens of Hardy's Reynella winery by making an appointment. Today, the region stretching from the hills to the ocean boasts around 100 cellar doors. Cool sea breezes benefit the vineyards around Goolwa at Currency Creek, producing premium drops. Southern Fleurieu is also an emerging wine region, with maritime influenced wines. Langhorne Creek Wine Region, on the eastern edge of the Peninsula, has provided more fruit for Jimmy Watson trophy winners than any other Australian grape growing region. As well as being one of Australia's oldest wine regions, Langhorne Creek is one of the fastest growing and already the third largest grape producing area in South Australia. Traditionally a red growing region, its best known for outstanding Cabernet Sauvignon and Shiraz. 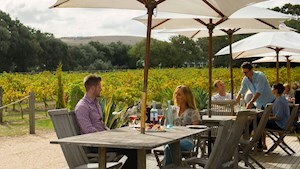 Wineries across the Fleurieu Peninsula are places where you can listen to live music, enjoy fine food, try olive oil and purchase produce, relax by the vineyards with a platter, and even try a glass of wine or two. There are many wineries you don't want to miss, some with charming restaurants, some boasting a pretty lakeside setting and some housed in rustic old buildings. 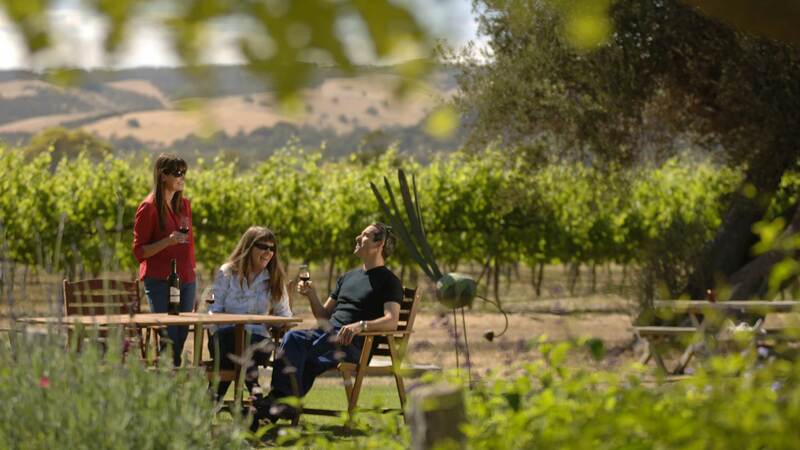 There are over 100 cellar doors across four wine regions located on the Fleurieu Peninsula. With so many options to choose from, we are featuring some of the local favorites. It is more than just tasting quality wine, it's about the character of the people. With 8 unique boutique cellar doors offering world class wine, Langhorne Creek is also home to craft beer.